Notwithstanding claims of being the most transparent administration ever, the White House now says that an executive branch office is exempt from United States Freedom of Information Act requests effective immediately. 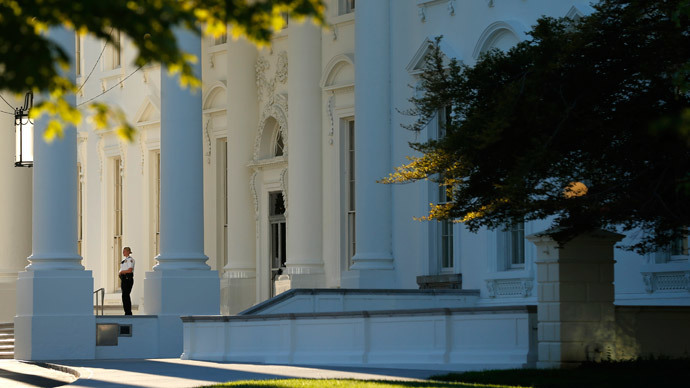 As of Tuesday, the Office of Administration will no longer have to heed FOIA requests — the likes of which had for decades helped explain the inner workings of White House functions — according to a notice published in the Federal Register this week. According to the White House’s reasoning, the sole function of the Office of Administration is to advise and assist the president and therefore it’s not covered under the Freedom of Information Act or the Privacy Act of 1974. Gregory Korte, a USA Today reporter who broke the story on Monday evening, wrote that the Office of Administration had answered FOIA requests for 30 years. “Until the Obama administration, watchdog groups on the left and the right used records from the office to shed light on how the White House works,” Korte wrote. Under the last Bush administration, however, the watchdog group Citizens for Responsibility and Ethics in Washington, CREW, filed a suit with the agency which opened the door to a lengthy legal battle. An appeals court said six years ago that the Office of Administration is not an “agency” as defined by FOIA since it “performs only operational and administrative tasks in support of the president and his staff,” and is therefore exempt. However, the decision was not made official until entered in the Federal Register this week with little notice. “This action is being taken in order to align Office of Administration policy with well-settled legal interpretations,” Beth Jones, deputy assistant to the president, explained in the Register. But critics have been quick to call out the Obama administration for the peculiar timing of the announcement. Not only does the Register notice come six years after an appeals court settled the FOIA issue, but also in the middle of “Sunshine Week,” in which news groups are strongly advocating government transparency. Speaking to The Hill, a White House official defended this week’s announcement, saying, “This federal register notice does not change any aspect of the administration’s FOIA policy. It simply removes outdated regulations that no longer apply to the Office of Administration and haven’t applied since the Bush Administration." “Generally speaking, the administration has gone to great lengths to release more information on the front end so that individuals do not have to file a FOIA to get access to government data and other information,” the official added. Even before news of the Federal Register notice caught wind this week, reporters were calling that claim into question. In a Washington Post article concerning the Obama administration’s transparency record with regards to Sunshine Week published on Monday, reporter Jason Ross Arnod wrote that President Obama’s pledge to run the “most transparent” administration in US history has fallen short, according to critics, evidenced through the use of secret laws, evoking state secrets privilege and prosecuting whistleblowers, among other tactics. Spox says exempting White House from FOIA requests won't affect "ensuring that the administration is the most transparent admin in history." Meanwhile, White House correspondence can still be obtained by the American public, but only through filing requests under the Presidential Records Act — and not until five years after an administration has run its course.